Here is the presentation for my last workshop at Velocity 2010, in Santa Clara. 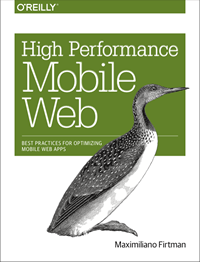 Remember to follow @mobilexweb for future updates from this blog. Loved your slides, thanks for sharing. Will you be publishing the slides that have the grids of what phones support as web pages anywhere? Or will they be part of your book? Would love to be able to reference them without having to dive into the slides each time. I can not understand why “audio” tag in iPhone is a full-screen experience. I’ve never seen one web app with sounds. That makes iPhone web apps unattractive, doesn’t it?